Is your yard a source a pride? A work of art? A labor of love? It’s time to receive some formal recognition for all those hours of hard work. The HPNA Yard of the Month contest is for all residents of Heights Park neighborhood. View the Contest Rules. Fill out the form on the Yard of the Month page. How exciting to learn that I won yard of the month for December! 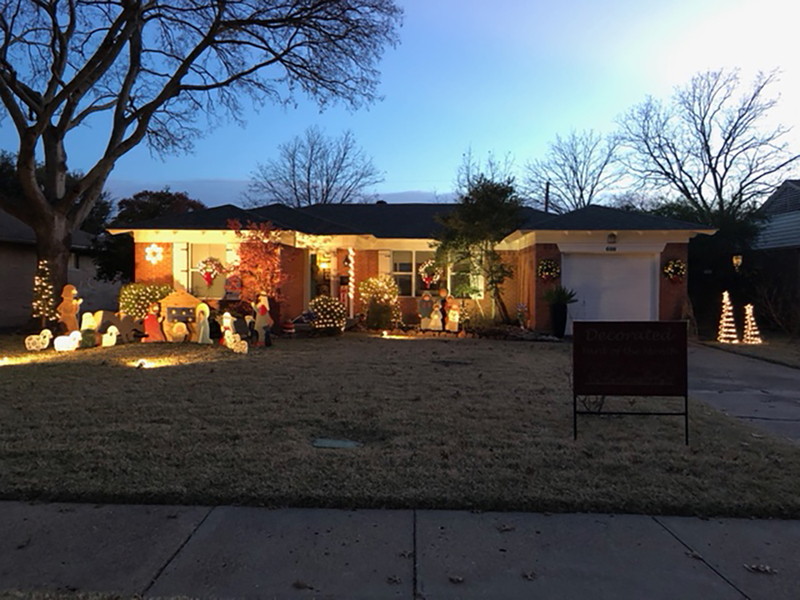 Christmas has always been a favorite holiday for me, and this year my yard has special meaning. The Nativity was handmade and painted by my mother over 40 years ago. Last year they decided it was too much for them to continue to put up each year and I knew it could not leave our family. As a kid, I remember neighbors driving by our house just to see the Nativity. This year, it has been truly heartwarming to see the same happen here along with families stopping by with their little ones while on walks to take a closer look. I have called Richardson home for over 12 years and could not think of living anywhere else. I live here with my sweet Goldendoodle, Boomer. You can often spot him looking out my front window. When I moved here, it was really about location and charm of the homes. Little did I know that I would fall in love with this community. I am blessed with amazing neighbors that have become lifelong friends. I hope this little gem brings some holiday spirit to anyone who passes by and puts a smile on your face. Team Two members posed for a picture before performing for neighbors during Holiday Sing and Stroll. 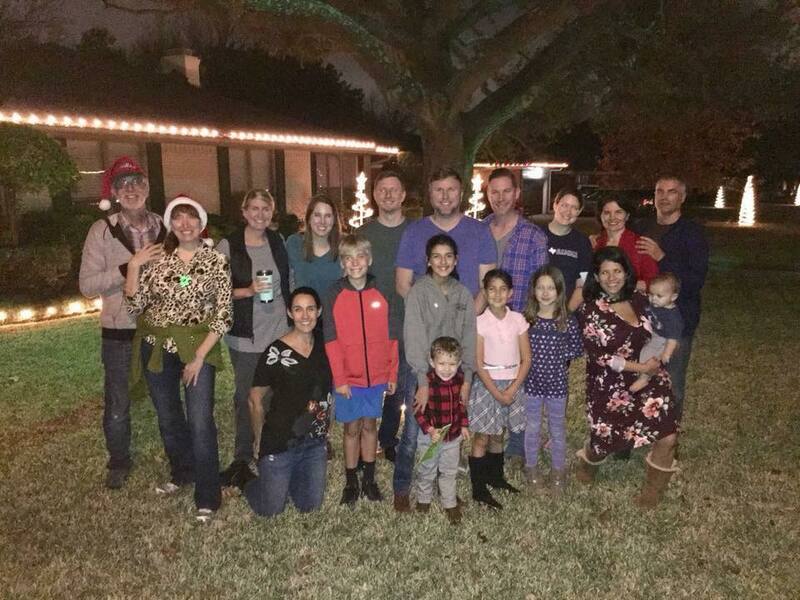 Dozens of Heights Park neighbors spent Sunday, Dec. 3 caroling door to door during Holiday Sing and Stroll. Young and old, these cheerful chorales made their rounds for over an hour before attending a party at the home of Janet DePuy, Heights Park Neighborhood Association president. It was a sight to be seen and heard as these merrymakers knocked on doors and performed for friends and families. The most heartwarming moments happened when the “carolees” opened their doors to join the carolers in singing timeless tunes. The event was a success because of the excellent turnout. Your annual membership dues and the hard work and coordination of the Heights Park Neighborhood Association board members make events like this possible.